Mark and Shay Morgan with their two kiddos, Kate and Luke. Who is Shay Morgan? Shay is a mom to Kate and Luke, a registered dietician at Johnson Regional Medical Center, she has a bubbly personality and a laugh that is contagious. It also happens that she and her husband are peach farmers. With their family, they own and operate Peach Pickin’ Paradise, a “you-pick” peach orchard in Clarksville. 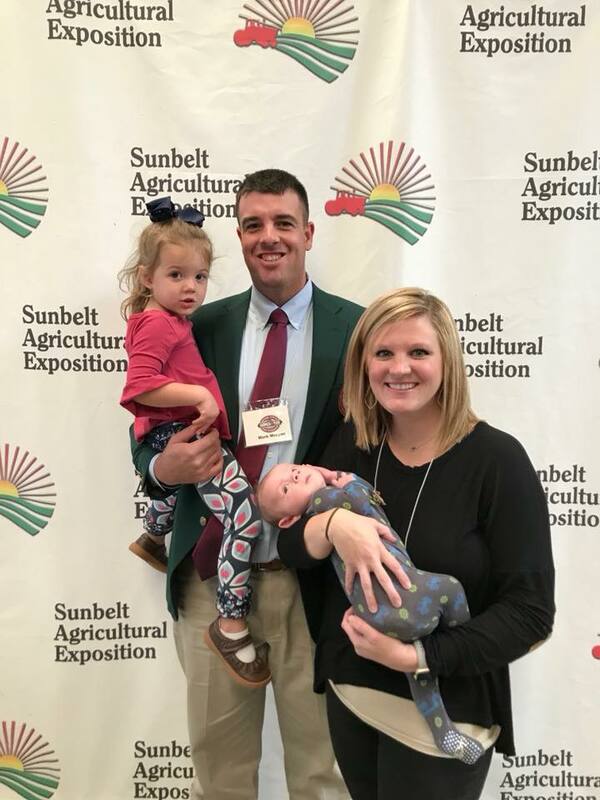 Mark and Shay were also the Arkansas Farm Family of the Year in 2015! 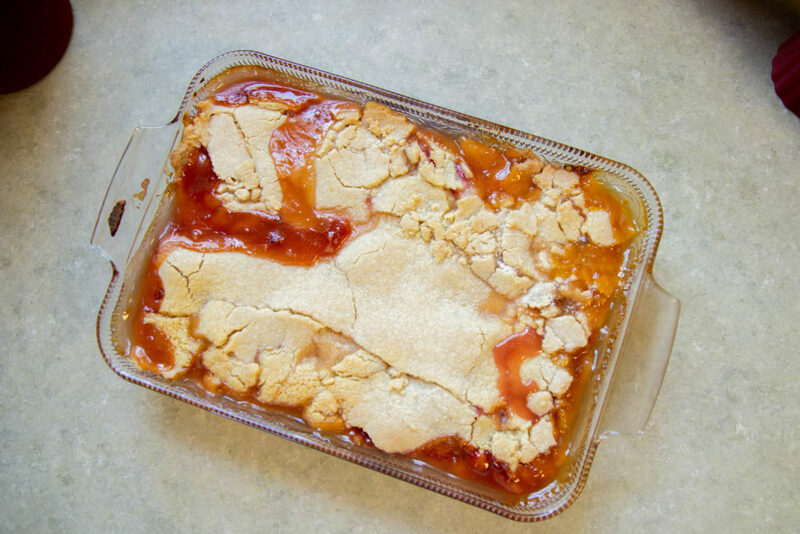 National Peach Cobbler day is April 13, so I decided, what better way to celebrate Peach Cobbler Day than have a peach farmer make me a peach cobbler, right? 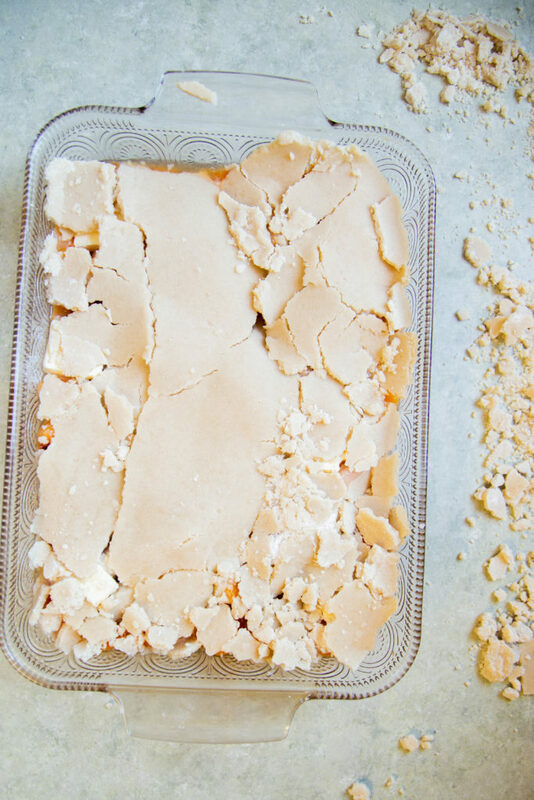 I knew that the Morgan family had to have a special peach cobbler recipe (since they are peach farmers) and I had full confidence that Shay would be able to follow the instructions and make a delicious, sweet, gooey cobbler. With my own shellfish agenda in mind (I mean I really wanted some homemade peach cobbler!) I talked her into it and, a couple days later, I was headed to Peach Pickin’ Paradise. Shay said it still tasted good, and that’s all that matters, right?! Shay powered through though! 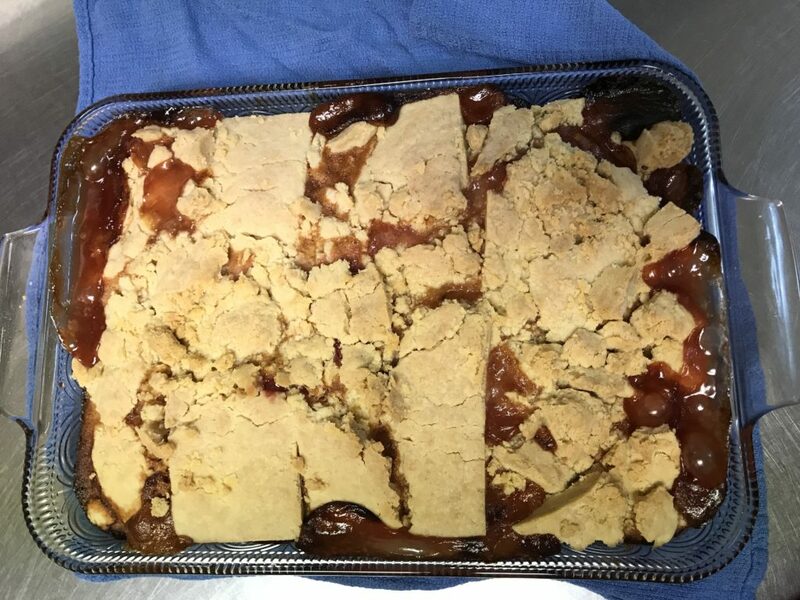 With some comments from the peanut gallery (me), a little bit of Googling and a phone call to her Aunt Marylin she made one of the best peach cobblers I’ve ever tasted! For someone who doesn’t really cook, Shay can hang with the best when it comes to baking peach cobbler. Scroll down to get the recipe and see photos of the baking process! All the ingredients for the cobbler. Step 1: Peel and slice 8 cups of peaches and place in 9”x13” pan. 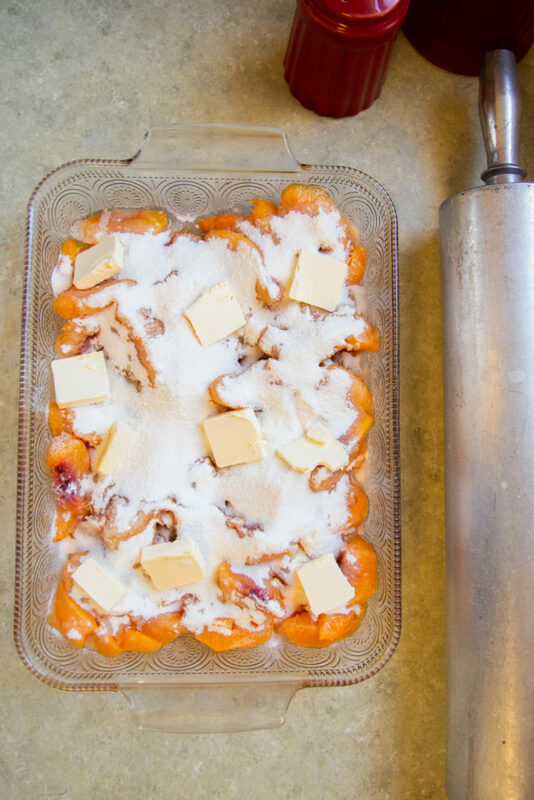 Step 2: Combine 1 cup of sugar and 4 tablespoons of flour and sprinkle over top of peaches. Optional: dot with margarine or butter (about 1/4 stick). Shay said, “The more butter, the more better in my opinion.” I have to say #true! Step 3, prepping the crust: Measure 3 cups of sifted flour, 3 tablespoons of sugar and 2 teaspoons of salt into a medium sized bowl. Then, measure 1 cup of vegetable oil and ¼ cup of milk into a cup, but DO NOT stir together. Note: Shay said that Aunt Marilyn said not stirring the oil and milk together was key, but she doesn’t know why.. ha! 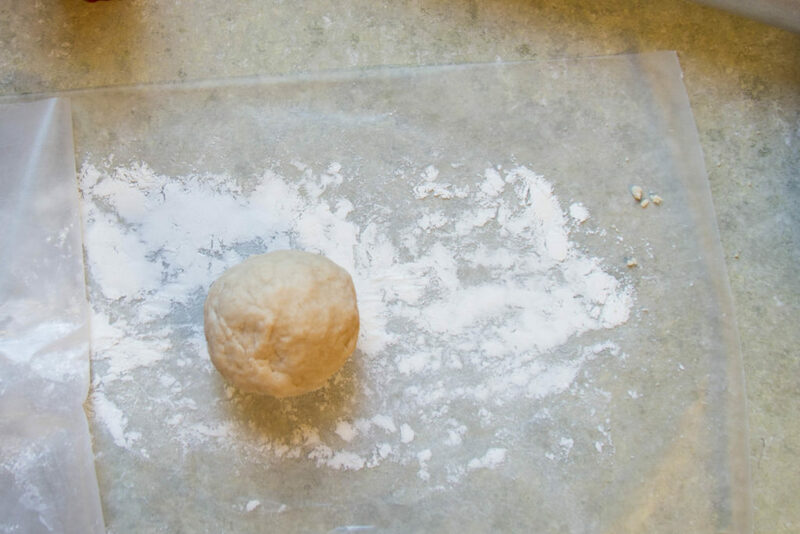 Step 4, making the crust: Pour liquid ingredients into dry ingredients and stir together to form a ball. 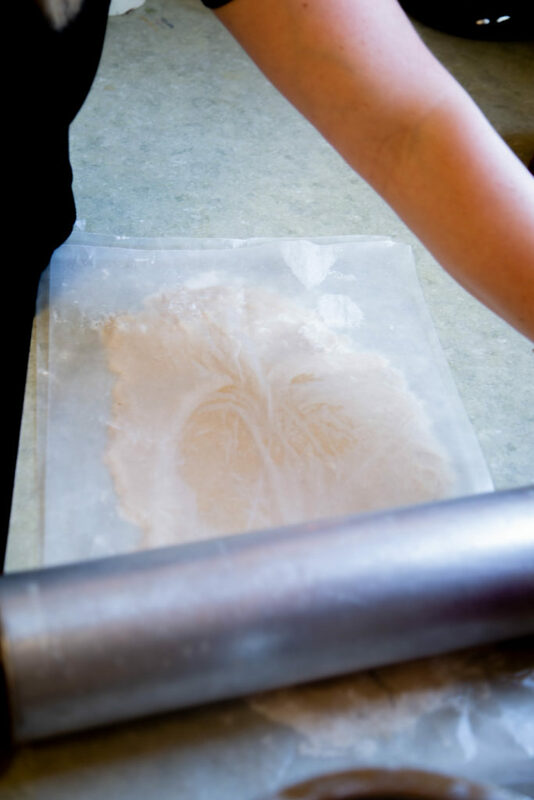 Roll out the ball of dough between two lightly floured waxed paper. 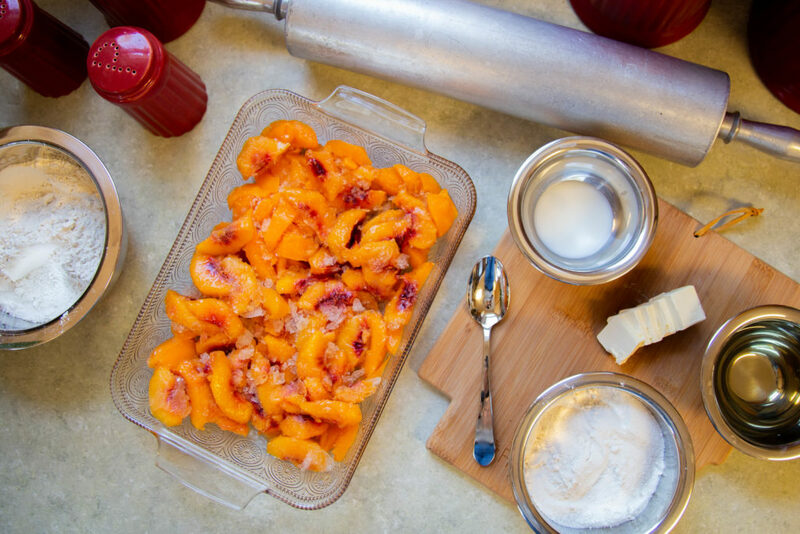 Step 5: Place rolled out dough over peaches in the baking pan. Note: This is where the Googling and phone call from Aunt Marilyn came into play! See the video below of Shay on the phone with Aunt Marilyn on how to transfer the dough to the pan. Shay on the phone with Aunt Marilyn and flipping the crust dough onto the pan. Bam! The crust done and it’s ready for the oven. Step 6: Place in oven and bake for 40 minutes. I told y’all it was good! 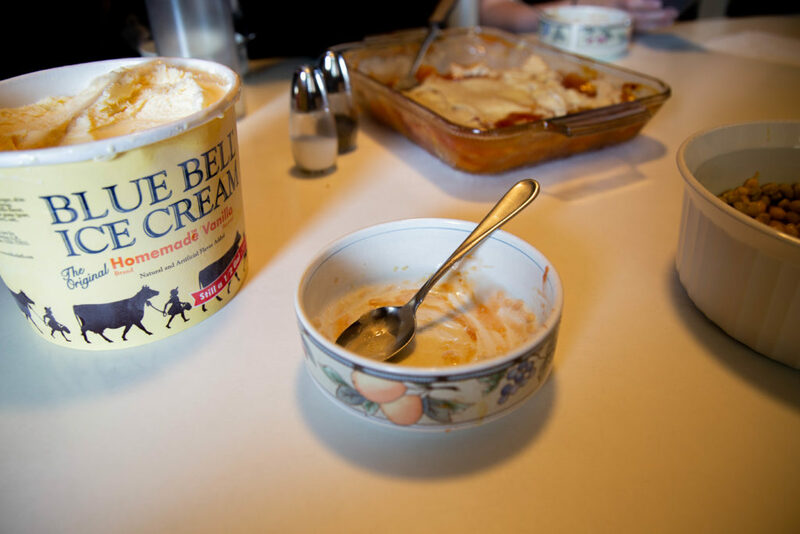 I dug in and forgot to get a picture of the peach cobbler in my bowl with ice cream.